Technology Literacy Is On The Rise! Research shows children aged 8-11 are active social network users - 78% of eight to nine year olds and 92% of 10-11 year olds have used a social networking site. Social networking websites, once confined to the dorm rooms of U.S colleges, are extremely popular with our younger generations. Some of the most popular sites give the next generation not only entertainment on demand, but also social and emotional learning. Educators are finding that students tend to interact with technology on a regular basis and that online learning content might increase engagement in the classroom. Whether it's in the form of building relationships whilst online gaming or developing a sense of self awareness through social interactions - technology seem to have unprecedented potential for education! Anxiety is rising amongst children and adults alike, and there's currently a lack of resources for teaching social, emotional and physical learning in a school environment to help address this. Social and emotional learning (SEL) is an education concept that teaches five main learning pillars: Self Awareness, Self Regulation, Social Awareness, Relationship Skills, Responsible Decision-Making - which all aims to equip students with lifelong skills to help manage their own emotions, relationships, decisions and challenges. SEL education has traditionally been the direct result of families and teacher’s efforts to enrol children in programs that introduces this, however in order to be successful - ongoing reinforcement is crucial. When it's implemented by introducing such programs as a stand-alone in schools, infusing it as part of the curriculum or making it a point of action for the entire school - students, families and teachers all benefit. Whilst extremely powerful, the face-to-face programs sometimes struggle with certain challenges. Technology, whether we like it or not, has shown to come with some solutions to these challenges. A good example of this is Life Skills GO. 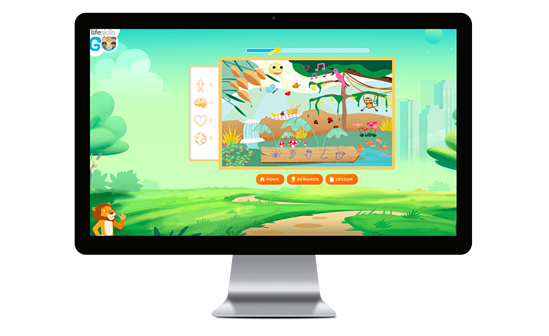 Life Skills GO provides social, emotional and physical learning programs for children - delivered online through games and interactive learning. A school's own teachers can establish lessons using suggested structures and embedded learning content that is curriculum-aligned and evidence-based. 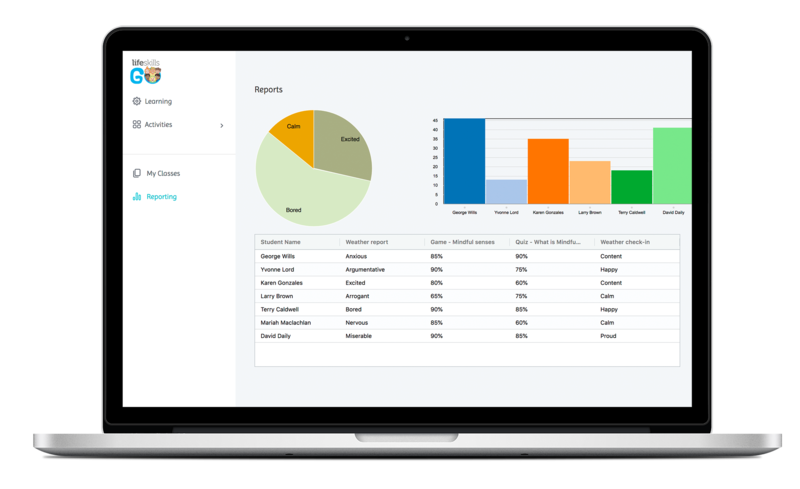 The learning place provides quizzes and games to reinforce learning, and inbuilt analytics to assess and report on learning outcomes. One undeniable benefit of such an innovation is that it can supplement existing face to face programs through consistent reinforcement and give users the continual support they need to stay happy and healthy. With such a comprehensive, curriculum-aligned program available, it doesn’t take much to understand the revolution in SEL this could trigger. Access: Those who teach SEL programs in person are limited by their geographic location and oftentimes cannot reach people in rural and remote areas. Online-based programs such as Life Skills GO give anyone with a computer and an internet connection the ability to start learning life skills - regardless of location or time. Frequency: Standalone onsite programs achieve short-term goals and results when delivered for a short period of time, however in order to achieve long-term success it is important to deliver these concepts on a regular basis, making them a standard part of a child's education. With programs such as Life Skills GO, your children have the opportunity to access the principles of social, emotional and physical learning on a daily basis, which help to form routines and empower students to be conscious of these non-academic aspects of learning. Feedback: Teachers and families can receive general feedback from children who participate in these kind of programs, however it's difficult to get specific, measurable feedback of student’s SEL learning. Using programs such as Life Skills GO with analytics and reporting features that give an indication of student’s moods and feelings, teachers and families receive a snapshot of the overall progress of their child’s learning and wellbeing. This analysis gives teachers new ability to provide in-depth and personalised attention to individuals who might have otherwise struggled. To see this platform in action, request an online demo here. Another great tool that uses the power of technology to teach social and emotional learning skills is the Brain Power Autism System (BPAS), which uses Augmented Reality to educate children with Autism, click to watch the video explaining how it works. With the rapid progression of technology, the debate of, whether or not, SEL can be taught with technology should be laid to rest. Programs such as Life Skills GO or the BPAS system have begun to trigger the revolution in SEL education and, for both families and parents, this is a game-changer.